White Pine Canyon Village is a new construction luxury home development located in the heart of Park City Resort, just minutes from Historic Main Street. 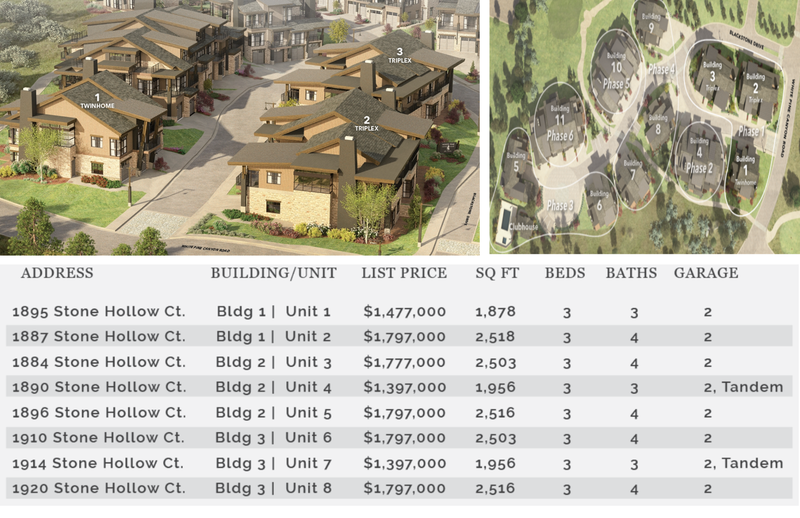 The village will ultimately consist of six twinhomes, two triplexes, and three four-plexes with penthouses. Each penthouse will span the entire top floor and have its own private elevator. Reservations are currently being accepted for buildings 1, 2, and 3. All White Pine townhomes come fully-furnished with access to a myriad of amenities including access to the clubhouse offering a year-round, heated pool, a hot tub, a fully-equipped kitchen, dressing areas, and outdoor BBQ, TV entertainment, lounge seating, and a pool table. Reservation holders will have the option of choosing between two contemporary, luxury designs color schemes carefully crafted by Alder & Tweed Interior Design.